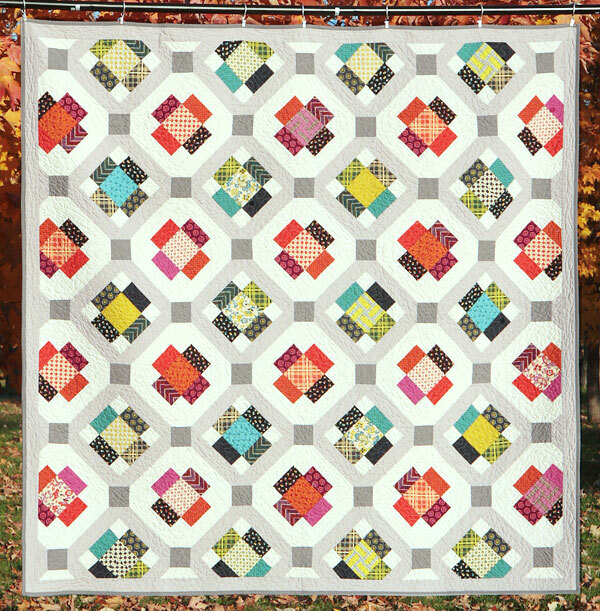 This quilt started out as an entry for the Minneapolis Modern Quilt Guild “Outside the lines” challenge. The idea was to challenge yourself to put together a quilt using many different lines of fabric. Since that is what I normally do, I changed the challenge for myself to stick within a line without editing out any of the prints. I chose Chicopee by Denyse Schmidt. It was a challenge adding a couple of those prints, but the results are lovely!